Keto, Low-carb, Atkins, Paleo, Primal… There are plenty of different diets out there that seem to be somewhat similar. Which one is the most effective? Which one is the best for you? It depends on your goals, preferences, metabolism, and on what makes you feel the best. Moreover, sometimes you might need to experiment for a while to find out what feels right for you, and it might change with time. 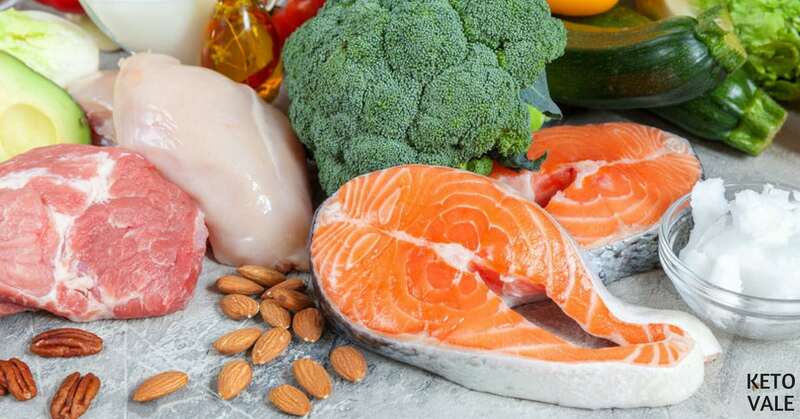 In today’s article, we’re putting the low-carb diet in the spotlight – we’ll be discussing what it is exactly, what foods you typically eat and avoid on a low-carb diet, what are the differences between low-carb and keto, and in which cases people find it particularly useful. It’s difficult to give an exact definition of the low-carb diet, as the term “low” is rather vague. #1. A general term describing all diets that are on the lower carb spectrum, including keto. In this sense, a low-carb diet is a diet where the daily net carbs are lower than around 100g, so anything from strict keto and 100-ish net carbs per day is considered low carb. #2. A more specific term used to describe a diet that is low in carbs, but not as low as keto, and that doesn’t constantly keep you in ketosis. In that sense, it’s defined as consuming between 30-ish and 100 g net carbs daily, from moderate low-carb (30-50 g net carbs) to a more liberal approach (50 to 100 g net carbs). Keep in mind that different people have hugely different energy needs and that someone with a big frame, lots of muscle, and who is highly active might consume 120 g net carbs and it’d still be considered low, based on his total caloric needs. Likewise, the same person might be able to consume 50 g net carbs per day and remain in ketosis. As you can see, “low-carb” is not a very precise term, and moreover, “low” might vary from one person to the next. In this article, we’ll be looking into the low-carb diet that is defined as consuming between 30 to 100 g net carbs per day, and we’ll also compare it to keto. What Do You Eat on a Low Carb Diet? Regardless of the exact definition, you choose to follow, the low-carb diet will certainly be much lower in carbs than the standard modern diet, which is often ridiculously – and dangerously – high in carbs. As a result, it is much more natural for the human body, as processed and junk food is highly limited or completely avoided. Sure, you can still slice the cookie thin enough as to not go overboard on your daily carb limit, but the more important question to ask yourself is “how would this benefit me and what nutritional value does it have?“. Going on a low-carb diet will mean orienting your food choices on the amount of carbs that each food contains. Therefore, the bulk of your diet consists of foods that are on the lower range of carbs, while high-carb foods (including all processed junk food) are avoided. In order to make the diet sustainable, you’d also need to consume adequate protein and sufficient fat, in order to minimize muscle loss, improve satiety and to ensure that your body is functioning well overall. Dark chocolate can also be consumed in moderation. As you can see, most of the things that you eat are the same as on keto; the difference is that on low-carb you’d have a more liberal approach to carbs and might decide not to exclude products such as carrots, beetroot, leek, and eventually some legumes, such as peas and green string beans, if they do not cause digestive issues. What Are The Macros for a Low Carb Diet? The macros to make a low-carb diet sustainable in the long run would be quite similar to keto, with the exception that fat would be a bit lower, due to the higher amount of carbs that you’d be consuming, and that carbs would be slightly more. On both diets you need to make sure you’re consuming adequate protein in order to make sure that you’re losing fat and not muscle mass, and also to make sure that your body can function properly. Regarding the exact amount of carbs to consume on a low-carb diet, it would vary from person to person. Many people find some sort of sweet spot that works well for them and aim for it, for example, someone might feel best at 50 g net carbs a day. Others choose a more liberal approach and aim for a wider range, such as 30 to 60 g net carbs a day, or 50 to 100 g, or any variation in between. Fat, just as on keto, is a lever – you use it to cover your energy needs and to help you not feel hungry all the time. Fat is also essential for your hormones, so you shouldn’t go extremely low on it (less than 30 g fat per day is not advisable and likely not safe), but you can play with it to keep yourself in a deficit, or, alternatively, to maintain your weight (depending on your goals). The amount of fat will depend on the amount of carbs you’re consuming – if your carbs are higher, your fat should be adjusted in the opposite direction. Another thing to keep in mind is that the body cannot adequately burn big amounts of carbs and fat at the same time, so if you’re at the higher end of carbs (around 100 g per day), for the best results you should consume them strategically. To do that, you can either combine protein & carbs or protein & fat in the same meal – either way, just avoid combining high carbs and high fat. If you’d like to go further, we highly recommend trying keto, which scores very well on all of the above points and many more. Are You in Ketosis When Following a Low Carb Diet? If you keep your carbs sufficiently low, and especially if you are highly active (meaning that you either have a very active job or work out more than 3-4 times a week, or both), and do intermittent fasting, you will likely be in ketosis at least a part of the time. You might be switching between burning fat and burning glucose quite frequently, depending on your daily macros, your meal timing, the amount of carbs you are eating with each meal, your activity levels, whether you are doing intermittent fasting, and so on – plenty of factors play a role. In general, if your net carbs are around 50 g or more, you won’t consistently stay in ketosis. If you’re around 100 g net carbs daily and not very active, you are likely to reach ketosis only occasionally or maybe never. 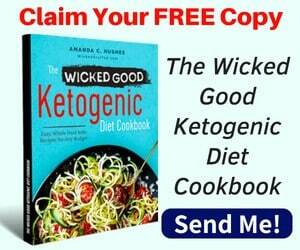 What Are Main Differences Between a Keto Diet (KD) and a Low Carb Diet (LCD)? Quite often, when people say they follow a Keto Diet (KD), they are actually doing a Low Carb Diet (LCD) instead. KD puts your body in the nutritional state of ketosis in which your body will experience all the health benefits of ketosis. LCD usually doesn’t put and keep your body in ketosis. KD is not just about eating anything that fits your macros (If It Fits Your Macros or IIFYM); i.e., ingredients on keto matter over nutritional facts, whereas a LCD mainly focuses on keeping the carbohydrate intake low. Bottom line: a KD is a LCD, but a LCD is not always the same as a KD. Your body uses ketones as fuel on a KD whereas on a LCD, your body usually uses glucose most of the time. Is the Low Carb Diet Also Good For Weight Loss? Yes, it can be an effective weight-loss diet, if you keep your calories and macros in check. In order to do this, you need to figure out your caloric needs (there are plenty of calculators online that can help with that) and to measure and track the food that you’re eating. Do not eyeball food – instead, get yourself a scale, and track everything that you’re eating. If you have a lot of weight to use, the keto diet might be a better way to jump-start the process, and it will generally be easier to stay in a deficit when doing keto. However, some people might decide to stick to a low-carb approach for a number of reasons, such as convenience, food preferences and the like. Some people might do better on low-carb instead of keto, and there’s nothing wrong with that. The best is to experiment and to see what works best for you, however, if you’re doing keto, you’d need to stick to it for a while in order to become fat adapted and reap all of its benefits. Is the Low-carb Diet Good For Weight Maintenance? Yes, it can be very good for weight maintenance. People who have already achieved their weight loss goals with keto and now want to reintroduce some non-keto foods, such as carrots and the occasional apple, might want to experiment with weight maintenance. If you have achieved your weight loss goal, your next task is to make sure that the weight stays off – yo-yo dieting is both physically very harmful and psychologically draining. In order to stay at a healthy weight, in the long run, you need to make sure that you are not going back to the unhealthy habits that made you gain weight in the first place – if you go back to eating junk, you’ll also go back to gaining weight. Slowly transitioning to low carb after achieving your goals is a viable option that many people choose, although it’s not a necessity by any means – many people decide to do keto long-term. Is Low-carb Good for Athletes and Highly Active People? Low carb can be very good for people who are highly active, as it will help them deplete and replenish their glycogen stores often. Glycogen replenishing might be particularly beneficial for sports that require explosiveness & explosive strength, such as sprinting, boxing, Muay Thai, Brazilian Jiu-Jitzu, wrestling, weightlifting, baseball, football, tennis, and many more. The low-carb diet is one of the very good dietary strategies out there, and with it, you can lose and maintain your weight, while enjoying plenty of other health benefits. It’s less restrictive than keto, but, in turn, will not give you all of keto’s benefits. It might be a good solution for people who are vegan or vegetarian as well, although keto is doable for both vegan and vegetarian. Whatever your choice is, one of the most important things you need to do is to stick to whole, natural foods, and to keep it simple, in order to make it easy to follow. If you develop the right habits and stick to them in the long run, the changes you’ll experience will definitely be worth your patience and consistency.